GovConnect Canada, is an exclusive, invitation-only forum and the definitive annual event for discussing digital transformation in government. 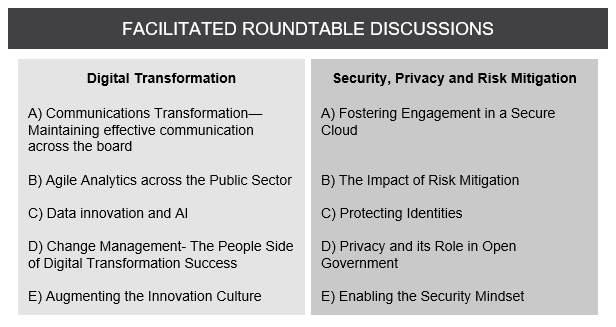 Speak directly with multiple levels of government at our unique interactive roundtables and take away critical strategies for your organization. Limited seats remaining – apply now to join your peers and avoid disappointment. Click here to read more about the format.